Disclaimer I received these products for review in exchange for my honest opinion. These are my honest opinions. I am loving Fall time and this is my most favorite time of the year. And what comes along with full-time of course yummy coffee. 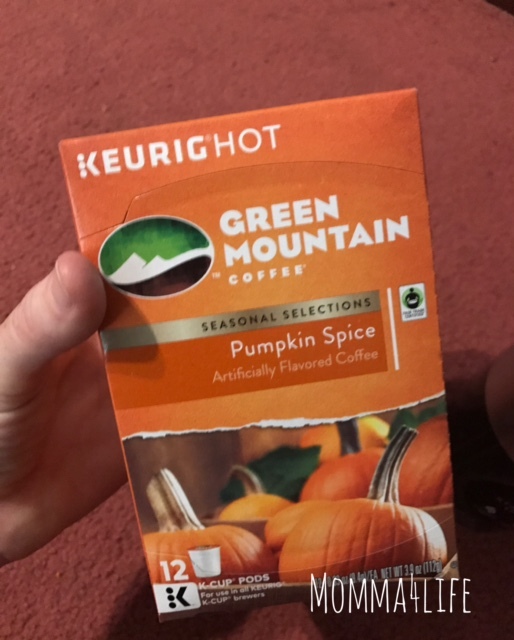 I want to tell you about the Greenmountain pumpkin spice coffee that is simply amazing. I've use this both ways I've made hot coffee and I've also made iced coffee. And both of them taste really great. Also I have to tell you what keurig has now a new coffee maker called the Keurig K-select available now this new brewer is the first of Keurig's classic brewers that includes a strong button. This popular strong brew future kicks up your coffees strength and intensity see you can enjoy a boulder brew. This coffee maker has coffee ready within seconds the key select with it's sleek, fingerprint resistant exterior this will help you brew the perfect cup of coffee every time. Some of the features brews multiple cup sizes, quiet through technology, strong to brew button, large 52 ounce water reservoir, Smart start brewing technology, programmable audio off feature, Brewer maintenance reminder, fingerprint resistant exterior. This coffeemaker comes in Matte black or vintage red and retails for $129.99. 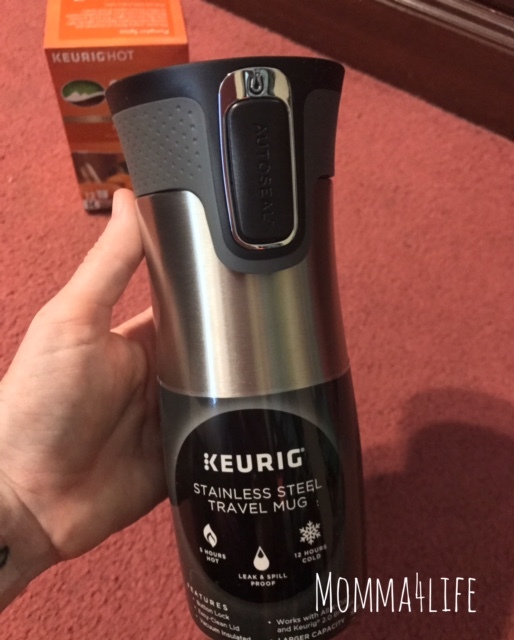 I also received they're really nice Keurig travel mug for hot coffee or chocolate. Side note this mug you can't put a straw you have to just sip through the top. 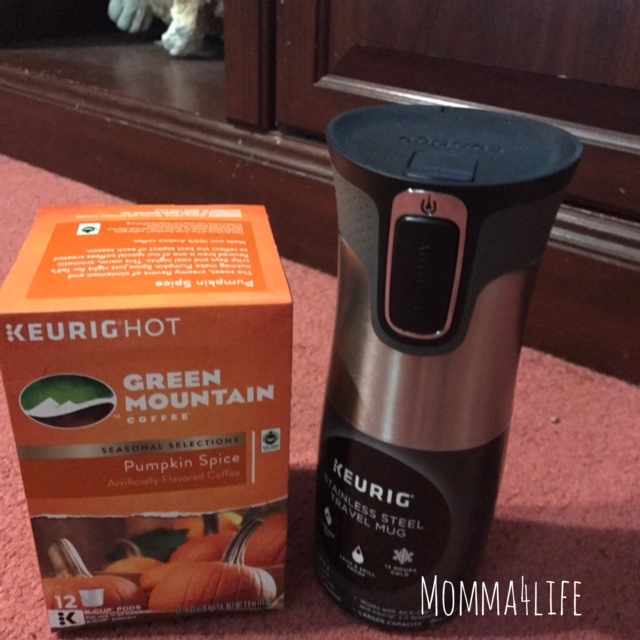 Perfect for those fall mornings or winter mornings at that it is sure to keep your coffee or hot chocolate super hot and ready to drink.